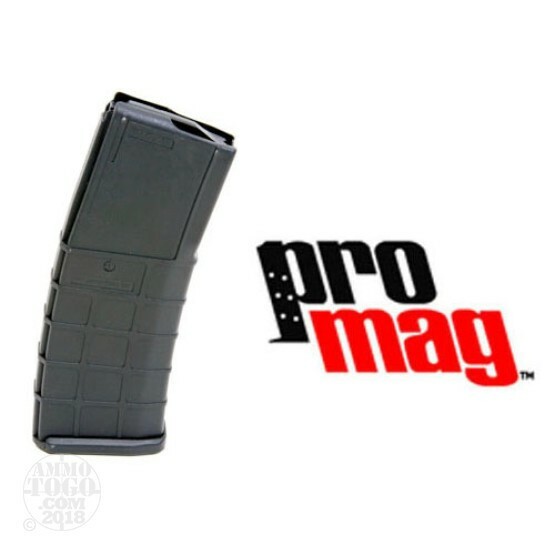 This is a new ProMag AR-15 30rd Black Polymer Magazine. This is a 30rd magazine for AR-15 rifles chambered in .223/5.56x45mm. The magazine body and follower are constructed of a proprietary DuPont Zytel based polymer to ensure a long service life. The springs are made from heat treated Chrome-silicon wire for increased reliability and smooth feeding. Black polymer. I purchased a couple of these mag's and worked great for the first few times to the range. I noticed there were a couple of loose rounds in my range bag that had apparently been spit out during transport. I marked the magazines for closer inspection. After reloading several different brands of magazines, these two were the only ones showing a loose feeder condition. With a little squeeze on the top of the mag or during reloading, 5-10 rounds would pop out. These may be from an earlier design (bought in May 2013) and have ProMag stamped on the lower side of the magazines. I have other PMAG Gen II mags that work fine. IMHO, spend a little more for a better quality magazine.